Marvel has revealed the very first poster for Thor: The Dark World, the follow up to one of the most successful superhero-movie franchises. The hammer-wielding Thor literally summons a thunderstorm in this stunning piece of art that is undoubtedly very teasing indeed. Chris Hemsworth reprises his role as the mighty superhero Norse God to restore peace and order when a vengeful Malekith leads an army of Dark Elves to pit Cosmos and the Earth into total darkness. 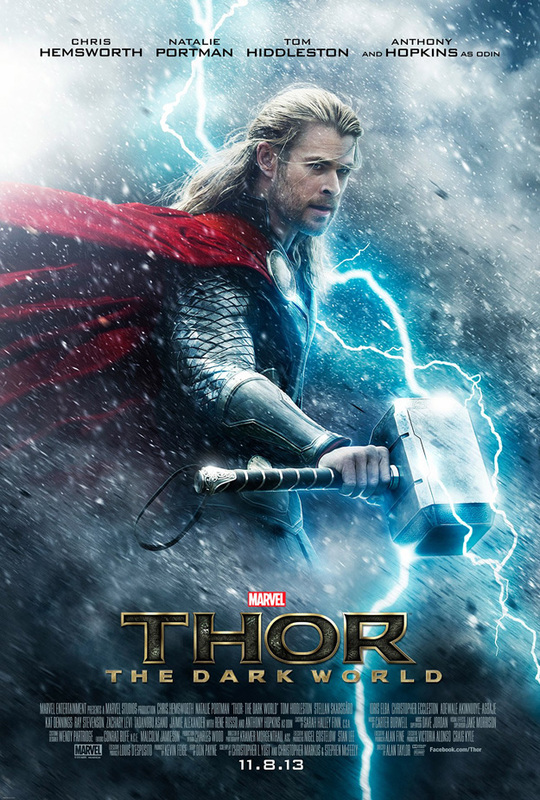 The new Thor: The Dark World poster really got me excited and I can't wait for November anymore!